Exam writing and training tool. Is there a better alternative to Exam Challenge? Is Exam Challenge really the best app in Teaching Tools category? Will Exam Challenge work good on macOS 10.13.4? 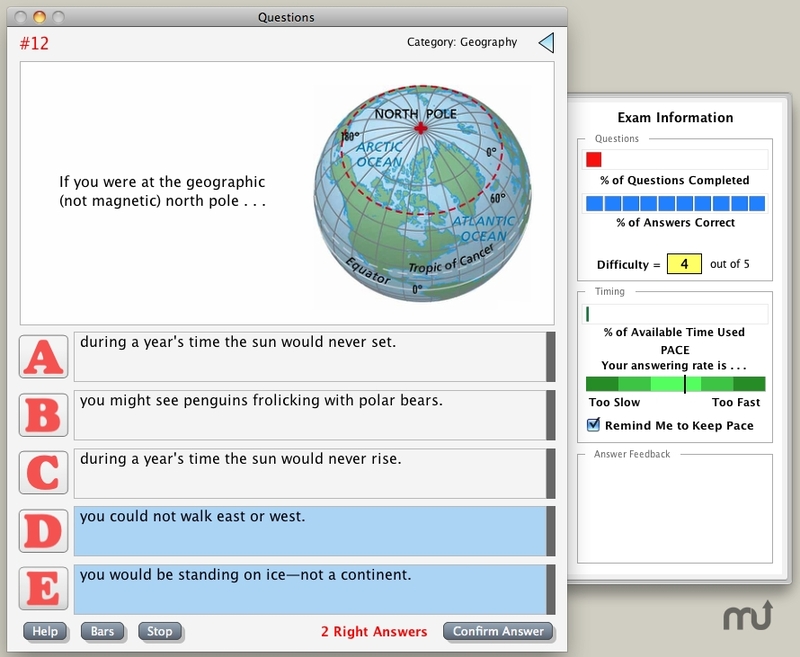 Exam Challenge is a combined exam writing tool and exam taking tool. It is rich with features, including timed exams, standard & weighted questions, images, sound, and movies in questions, multiple right answers, immediate feedback, passwords, search, email of results, scrambling, question categories, and much more. Exam Challenge needs a rating. Be the first to rate this app and get the discussion started!